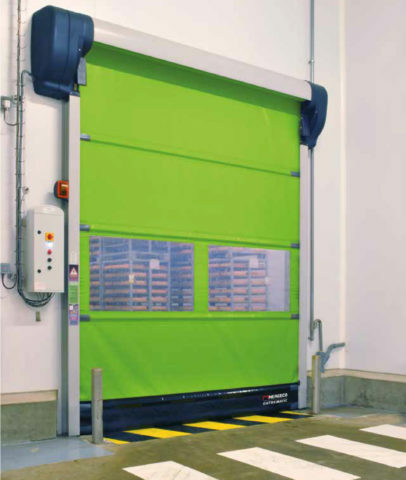 High performance door for use between deep-freeze and chilled areas – can be installed in or outside of the freezer cold storage area. 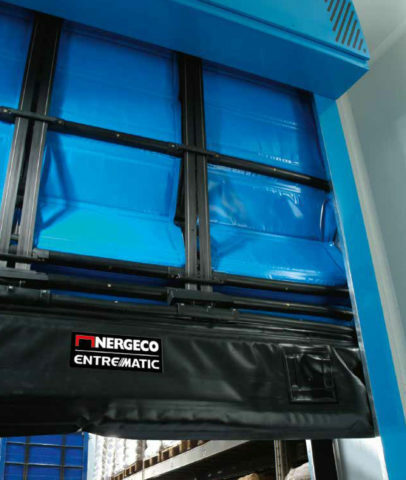 The Nergeco C Freezer 2 is a high performance and energy saving door, which can be used to protect deep freeze areas from chilled or refrigerated areas. 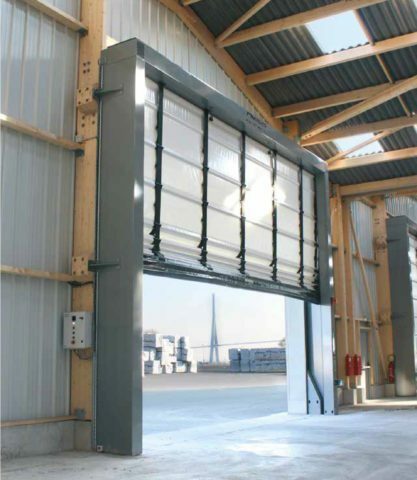 The Freezer 2 is a heated steel structure with a triple layer curtain and is also suitable for overnight closing. The direct drive motor is suitable for use within negative temperatures and the type 2 freezer door is suitable for installation on either the warm or cold side. 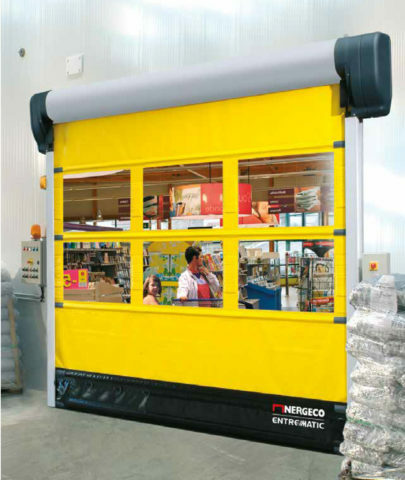 To ensure a longer life time of the door and improved performance, the Nergeco Freezer 2 high performance door uses Trekking Fold-Up technology for better operation and the direct drive motor provides long lasting performance.